Got this weird news from a message board post. At first I thought it was just a joke. So I browsed the net for some confirmation. After a few clicks, I found this article from FOX News. 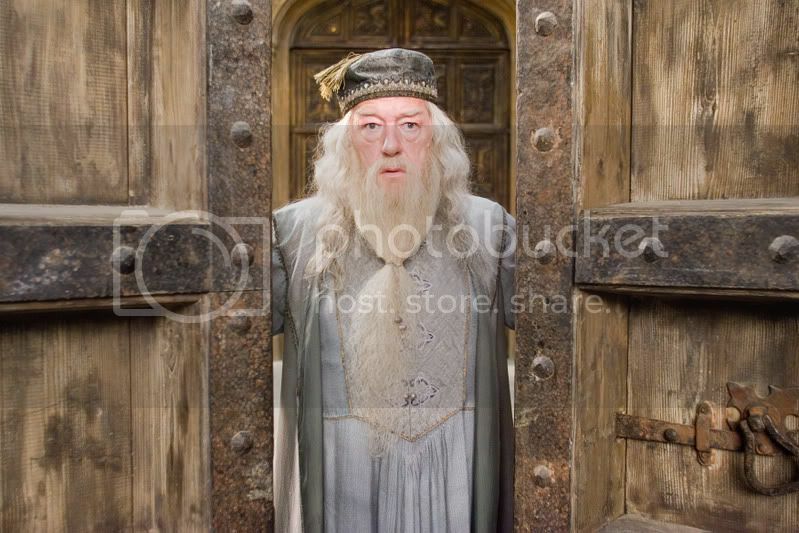 NEW YORK — Harry Potter fans, the rumors are true: Albus Dumbledore, master wizard and Headmaster of Hogwarts, is gay. J.K. Rowling, author of the mega-selling fantasy series that ended last summer, outed the beloved character Friday night while appearing before a full house at Carnegie Hall. After reading briefly from the final book, "Harry Potter and the Deathly Hallows," she took questions from audience members. So it is true. Our old headmaster Wizard is gay. No wonder he show those weird looks on Harry.